I must admit, Italy left me disappointed. I had listened to people rave about the nature, the food and the architecture. And although all of those factors were pretty amazing, I had higher expectations. Italy to me looked like a compressed Iran. Iran being a vast country (I think I have mentioned that a couple of times too many) enjoys many different climates. The north with its forested mountains blessed by the winds bringing the rain-pregnant clouds from the Caspian sea fascinates me each time we embark on a three-hour ride out of Tehran. Although only 200 kilometers north of Tehran’s borders, the journey fails to be short, as cars climb up and down mountains on spiral roads. Being motion sick is a given. Once the Alborz mountains are crossed and humidity climbs to its peak, you start to spot the men and women standing by the roads selling vinegar soaked garlic, salted olives big enough to be mistaken for dates, and if you are travelling in the warmer months you’d get to purchase whole walnuts carved out of their peel and dropped into salt water, drenching the brown skin to be later peeled off with no utensils but your nails. My culinary knowledge is quite limited compared to my fellow bloggers concentrating on edibles. So I’ll stop right here and let the food travelers do Iranian food justice. I could argue and say my high expectations came from being born in a climate blessed country, where the four seasons granted the land with their benison. Yet one place left me breathless. Literally and figuratively. No exaggeration there, and I do apologise for sounding cheesy. But that’s what Venice does to you. We decided to visit Venice on a Monday. Timoteo and I. 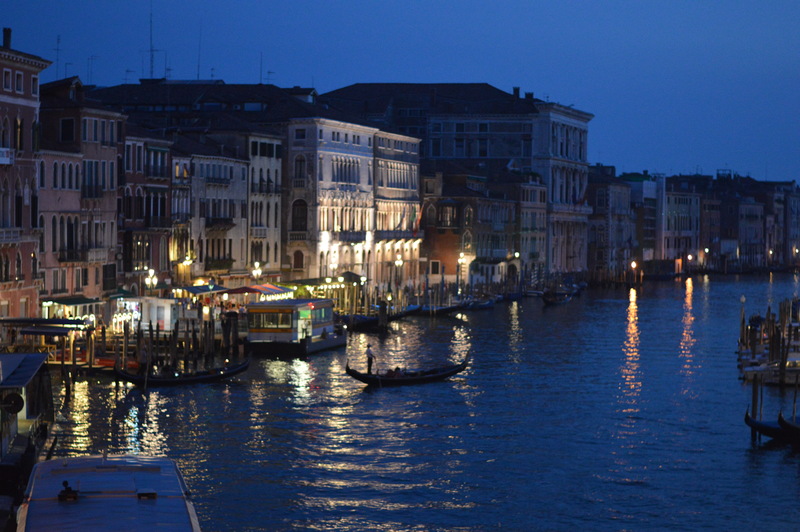 We had a Gondola ride planned and glasses of wine anticipated our arrival. It was going to be a romantic daytrip. The night prior to our departure from our hotel in Padova, the guests from the wedding met in a pizzeria, where we learned about a plan to Venice that was going to be carried out by three of them. 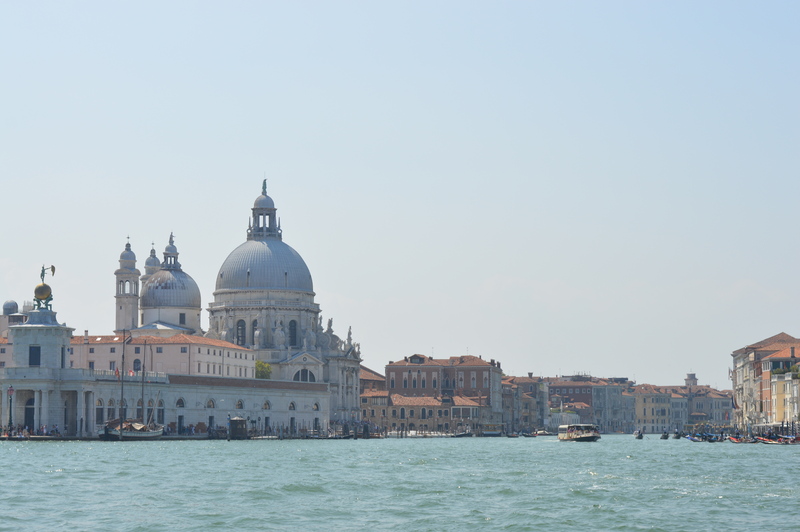 And so it was, we would bundle in Timoteo’s car and drive to the Venice Mestre train station, where we would catch a train to the island itself. The train station was like any other Italian railway station, crowded and stuffy. Loud and busy. But what came after was like nothing I had experienced. The five of us walked onto the pavement right out of the station. All five took a few minutes to take it in. 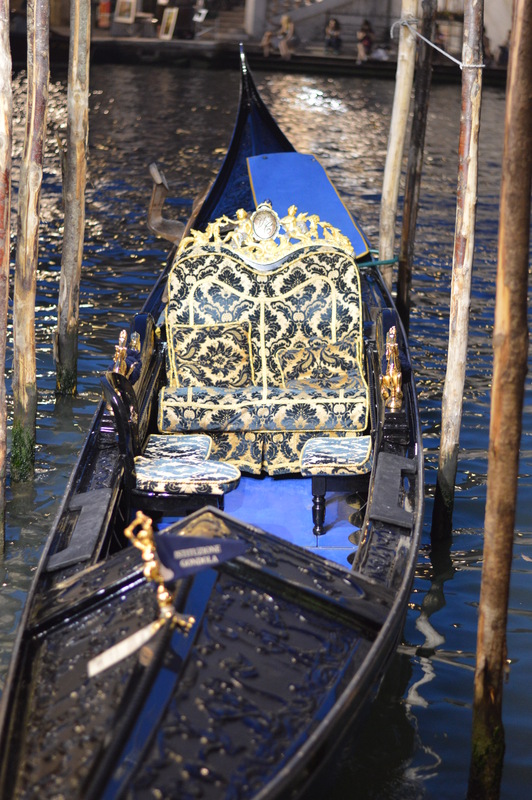 The blue blue skies complimented the water, the Venetian architecture danced off the glimmering waves, reflections of gondola drivers swayed, and the sun simply gleamed. After our initial infatuation, we bought a map and promenaded through the city. I am terrible at orientation and directions. In fact I am a handicap in that department. I cannot tell my left from my right without a definitive mistake, taking me seconds to figure out which is which. I usually just point with my hands. “Go to the left” I say pointing to the right “no the other left”. That day I drowned blissfully in my orientation impediment and let the others figure the directions through the island. With my Nikon around my neck and sunblock on my shoulders, I had everything I needed. Two things were of upmost importance; food and photographs. Making a pact to stop for a meal or snack every hour, we explored the city. Every few minutes someone would call out “SELFIE” and the other four would spring in the frame. Among the five of us, 2500 pictures were taken, although most of Azar’s contained Timoteo’s face or some other limb in his attempts to ruin ther architect’s photographs. She never uttered a word of complaint. Only laughter. 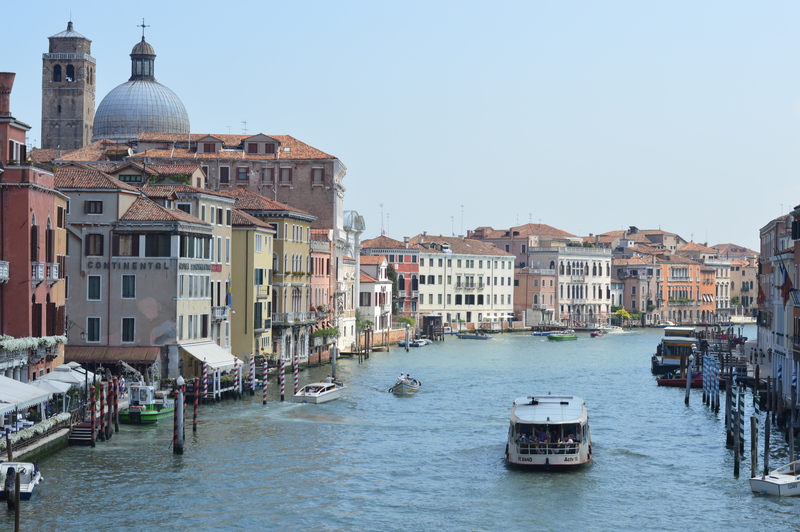 We did not limit our day-trip to a mere Venetian experience. 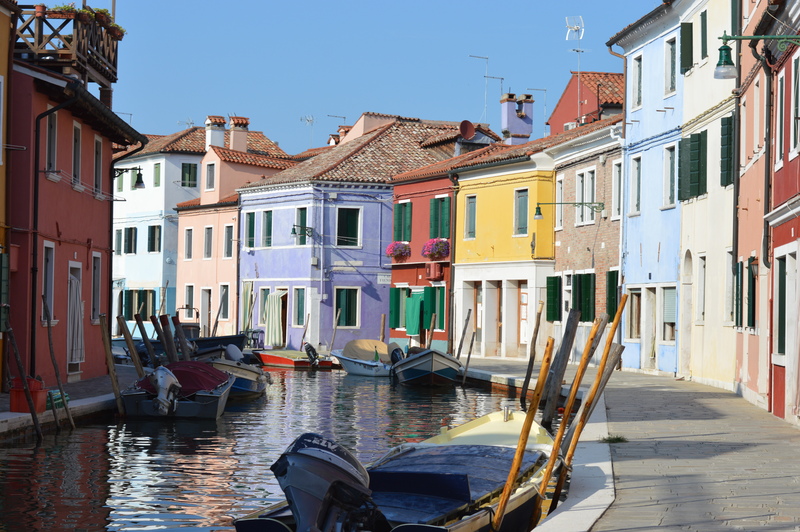 Hopping on a ferry that took us to Murano, Burano and Torcello, we added colourful photographs to our cameras’ memory cards and picked up souvenirs for siblings and in-laws. With a long day behind us, after another hour of dumbfound awe as we stood in San Marco and danced to a band playing in the terrace of a restaurant, we found our way to a restaurant. 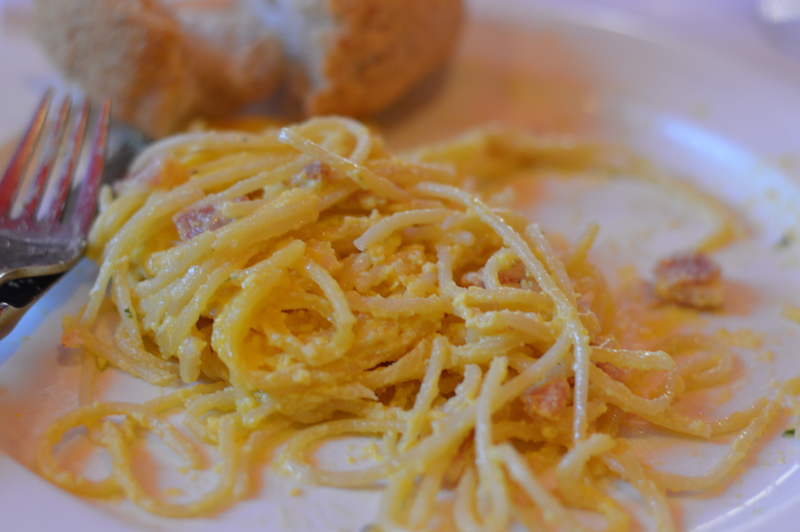 Picked by Timoteo (with no prior knowledge or Tripadvisor research), we had the most delicious Italian meal we had tasted. And that was when my faith in Italian cuisine was restored. For I believe Italian pizza is too thin and its ingredients are carelessly placed, and spaghetti and pasta makers need to spend some time in my aunt’s kitchen. Or in any Persian’s kitchen. Now I simply believe that the restaurant Timoteo invited us to has pretty good chefs. The sun set and our thirst for wine rose. After the hunt for an outside table for five, preferably placed by the canal that would agree to only serve us drinks proved unsuccessful, we opted for a more gypsy-fashioned gathering. The restaurants proved less stingy when asked for their bottled wine that they agreed to sell us along with plastic cups. Seated on nothing but stone pavements with the canal water touching our feet, sipping on scarlet wine, we breathed in the last hours of Monday. Timoteo, Shadi and Saaman graced us with their vocal talents, each contributing to a duet every other song. 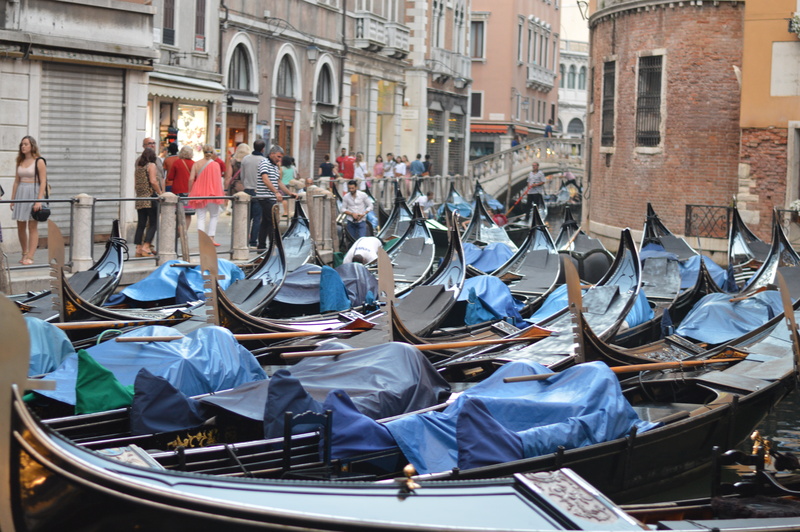 They had themselves a little audience that did not only include Azar and I, but Gondola drivers, other tourists and a couple who got engaged right in front of us, popping on the diamond ring and all. One would expect a quiet ride home, with Timoteo concentrating on the road, trying to survive the Italian driving system (it proved to be not too big of a challenge for his skills. Barcelona has prepared him for the worst of drivers. He’s already looking forward to his maneuver on the streets of Iran. That is a challenge he has accepted, yet I am still unsure anyone would lend a European a car to drive in Iran.) That was not the case, with exhausted legs and sore skin from the August sun we sang along to the likes of Pink, Rihanna, Imagine Dragons and Justin Timberlake. And just when we thought Timoteo was pulling into the hotel’s driveway, a surprise detour had the car parked in Padova’s biggest square, music blaring from the speakers and five tanned and happy tourists pouring out for a midnight party that would make any gypsy proud.